Geneva, August 27, 2015 – WISeKey today announced that it has made available its Cryptographic Root of Trust to IoT manufacturers and Chipmakers allowing them to add digital certificates on their chips at the hardware level to encrypt the communication and authenticate the devices. 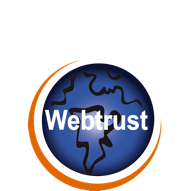 The Root of Trust (RoT) serves as a common trust anchor, which is recognized by the operating system (OS) and applications, to ensure the authenticity, confidentiality and integrity of on-line transactions. With the Cryptographic Root of Trust embedded on the device, the IoT product manufacturers can use code-signing certificates and a cloud-based signature-as-a-service to secure interactions among objects and between objects and people. 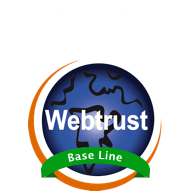 At the heart of this strategy is the OISTE-WISeKey Cryptographic Root of Trust which has been actively used since 1999 by over 2.6 billion desktop, browsers, mobile devices, SSL certificates and Internet of Things’ devices. The OISTE WISeKey Cryptographic Root of Trust is ubiquitous and universal, and a pioneer in the identification of objects. The WISeID NFCTrusted© can be embedded in a connected device without requiring device modification or app downloads. WISeKey’s NFCTrusted© technology is an evolution of the WISeAuthentic solution that WISeKey has already deployed with several leading luxury brands, including over 1 million watches digitally tagged and for which WISeKey recently obtained a US patent (http://goo.gl/ozgOQm). In February 2015, WISeKey and Bulgari launched the first ever intelligent mechanical watch using WISeKey’s NFCTrusted© technology (https://www.youtube.com/watch?v=GAyKfPOYwws), which allows the watch to execute payments and other transactions without using a mobile phone or other devices connected to the internet. 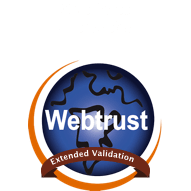 NFCTrusted© authentication tags incorporate a WISeKey cryptographically secure digital certificate to prove authenticity. NFCTrusted© tags can be embedded in virtually any product, piece of equipment or common household item, and users can verify authenticity with an NFC-enabled smart phone, watch, connected device or other mobile device. This technology not only optimizes security and convenience, but also eliminates the need for special readers or other equipment for tag authentication by using proof of presence. “The combination of trust and convenience opens the door for the use of WISeKey’s NFCTrusted© tags in diverse markets to support a variety of IoT applications,” said Carlos Moreira, CEO of WISeKey. 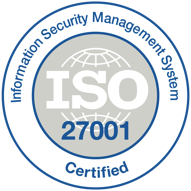 WISeKey is a leading global digital security solutions company. Working at the forefront of information cybersecurity, identity management, and mobile software services, WISeKey’s mission is to facilitate the global growth of secure electronic transactions by providing individuals, businesses, and governments with advanced technology and services that authenticate and protect digital identity across the full spectrum of personal, business and administrative transactions online.  WISeKey, established in Geneva, Switzerland in 1999, (http://www.wisekey.com), is a World Economic Forum Global Growth Company.